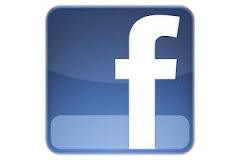 In 2014, Facebook starting making major changes in the way Page posts are seen on followers news-feeds. This was “apparently” in relation to the amount of stories the average Facebook user sees on their news feed at any given time. First, a recap on Facebook Page evolution. In 2007, Facebook introduced a feature called Facebook Pages. These were specifically designed for brands (companies, businesses, organizations, and celebrities) to be able to connect and communicate with people who where interested in their brands effectively whilst retaining personal profiles for social purposes. The premise was that a person would “Fan” (later on it became “Like“) the page which would then show the pages posts on the fans news-feed. This was ideal for businesses to connect with customers on a social level and worked well with almost all of the page posts being seen by the fan. After some years of this, Facebook in their wisdom started to change the way page reach worked, and even if people liked your page, they would not necessarily see your posts without consistent engagement on them. Around this time Facebook also brought into play a paid service to increase page reach. Skip forward in time to the end of 2013, and Facebook were now openly admitting that organic page reach was going down, and would continue to decline even further over the coming years as they try to encourage business users to use the paid advertising and post boosting services to get better results. 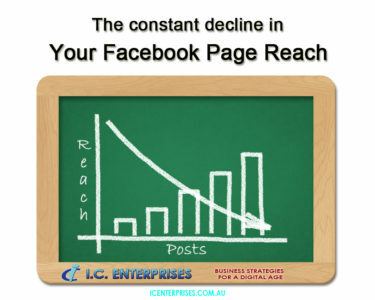 Even if you have good engagement and lot’s of fans, your overall page reach (people who see your posts) has been steadily dropping over the last couple of years. Where once an overall reach of 25 – 40% was possible on a reasonably consistent basis depending on your fan count, now things are averaging much lower, with figures of between 1-4% for most pages and under 10% being seen even for very active page owners. If you are a small business with a limited budget for advertising, this may leave you with a rather annoying dilemma, should you keep putting the time and effort into a platform which will have a steadily diminishing reach and return, or turn to other sources to get your message out and interact with potential and existing clients/customers. You need to change the way that you think of Social Media platforms as a whole. These sites are tools in your marketing, they are not where you should be focusing your entire business strategy! By far the best advice I can give in regards to your choices for getting your message out is surprisingly not a Social Media property at all, but rather is to use your website. If your existing website has a blogging area attached to it, then you should be using it on a regular basis to get word out to both your existing/potential contacts and the search engines. Again…. YOU own your own website!!! You can use your blog to engage with people in much the same way that social media allows by using comments and creating thoughtful content that people will engage with, with the distinct advantage of being able to control the situation yourself rather than a third party dictating who can/cannot see your posts. Read more about why you need your own website to succeed online. If you don’t have a blog area, or are unsure of how to use it, get in touch with us and we can work it out. Second preferences would be to use social media that is in keeping with your business type. For example, if you are a business that sells services/products primarily to other businesses (B2B) then I would recommend LinkedIn as it is a professional networking site and has a range of different business type people on it. Is your business more visually based? Can you consistently produce images to show your products/services off? Then sites like Pinterest or Instagram and even Google Plus are geared towards images in the way they work, with Pinterest being the highest rated image site for ROI for business users according to marketing statistics. Used consistently you can build a good following on these networks with contacts that are more highly targeted towards your offers than some of the other social media sites out there. If you have a leaning towards using video for your business, then the combination of YouTube and Google Plus is a good fit for you. As with anything Google related, including the search engine, everything is interconnected in the big G’s family of products. So your video, your G+ and whatever other Google services you can think of are all connected in some way. There are a variety of other services, sites and systems out there that would also be helpful to your business that I will address in future articles, but suffice to say that there are alternatives to Facebook that offer great ways to communicate and connect to people from a business and social point of view. So, to get back to the title of this article, Is Facebook Still Relevant To Business Promotion, the answer in my opinion is only if you can change the way you think about it, or have the money to pay for advertising on it. There are now other options out there that will give you a better return on investment for the time you put into them without having to pay for it. With your own website or other social media sites it may take a little more time and effort to get yourself established, but in time you will reach a wider audience and be able to target your leads much better than you can now on Facebook unless you pay for it. There are reasons to continue to use your Facebook page though, so don’t just abandon it! 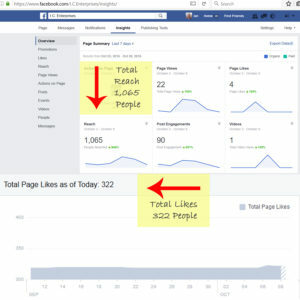 In my article One Simple Way To Increase Your Facebook Page Organic Reach I go through one way to help increase your organic (not paid for) reach in a easy and repeatable way. Any thoughts on this? We love to get comments so please take the time to share your opinion below.